Founded in 1993, Building & Maintenance Services Limited are a leading provider of all types of air conditioning, ventilation, electrical and mechanical, installation and preventative maintenance. BMS are able to supply and install multi or split air conditioning systems as well as Heat Pump/Heat Recovery VRF systems and Close Control Systems for individual, commercial or industrial use. 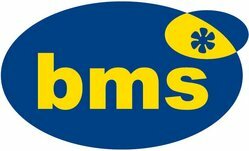 Also with a dedicated service and maintenance department BMS are able to offer a wide range of services to both small and large clients nationally. The 2016/17 season proved to be a breakthrough campaign for George Worth with appearances in the Aviva Premiership, European Champions Cup and the successful Anglo-Welsh Cup run. Full-back Worth started the Anglo-Welsh Cup semi-final against Saracens – when he scored his first try for the club in their first-ever win at Allianz Park – and also started the Final win after making his European debut against Munster at Thomond Park. He gained more senior experience with Nottingham before returning for the Premiership Round 22 win at Worcester which secured Tigers’ place in the knockout stages of the tournament. A former pupil at Wymondham College in Norfolk, where he was a team-mate of Tigers colleague Will Evans, Worth came through the Tigers academy to make his first senior appearance in the Kings of the North tournament in 2015 and his league debut followed against Bath at the end of the 2015/16 season. He gained England Under-20s honours during the 2016 Six Nations, playing at centre alongside Tigers club colleague Charlie Thacker.